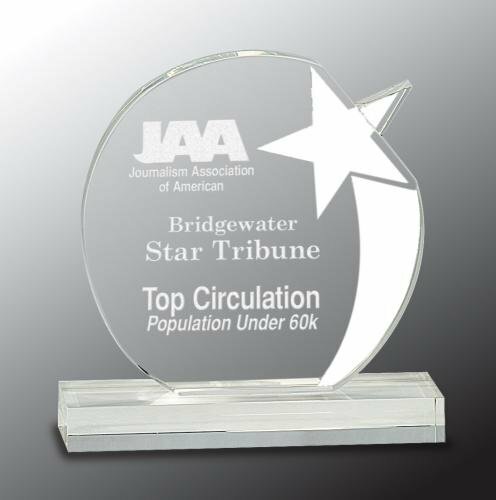 A 3-1/4" clear crystal star sits atop a 1" thick crystal column on this unique star award. 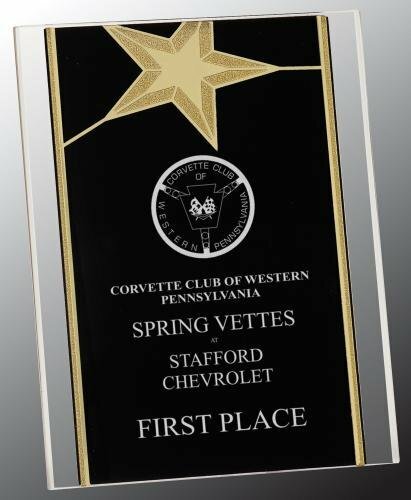 The column has a flat front and back and rounded edges for a sleek look, and is mounted to a 4" diameter black crystal base. 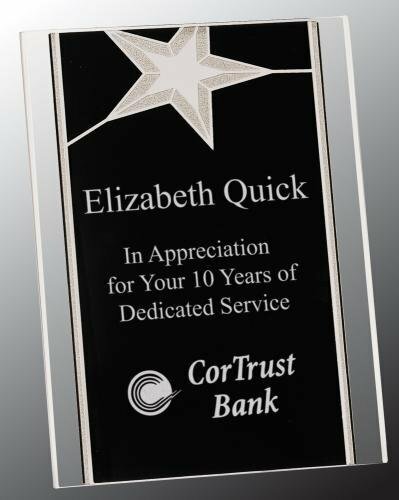 The column can be personalized to recognize and honor the shining stars of your organization. This premier crystal piece is packaged in a velvet lined gift box.